Can You Recover From Adderall Addiction? The question with most people in the world today is, can you recover from Adderall addiction? The answer is simply, yes. It not easy but it is possible. However, it is easier to avoid getting addicted than fighting with addiction. Before knowing how to recover, it is good to know about Adderall, signs of addition, uses of Adderall and long-term effects. It is actually a brand name of a drug prescribed by doctors. It is a legally prescribed and sold. The drug has amphetamine and dextroamphetamine as the main ingredients. Adderall is a stimulant that is used to treat narcolepsy, hyperactivity disorder or attention deficiency in a person. The drug increases confidence, euphoria, and concentration. It also suppresses appetite. It boosts alertness and productivity. It makes one be energetic, talkative and stay awake longer. Students are the main victims. Reports indicate that at least 6% of students in higher education levels abuse Adderall. This is in attempts to stay awake longer. It makes one feel moody through the increase of dopamine in the brain. Athletes follow in the order. Adderall makes one energetic and to have a high feeling. This suits athletes well. People with eating disorders use Adderall to suppress appetite. Adderall exhibits itself in insomnia, extreme mood switches, rash, dry mouth, irritable thoughts and actions and decreased appetite among others. 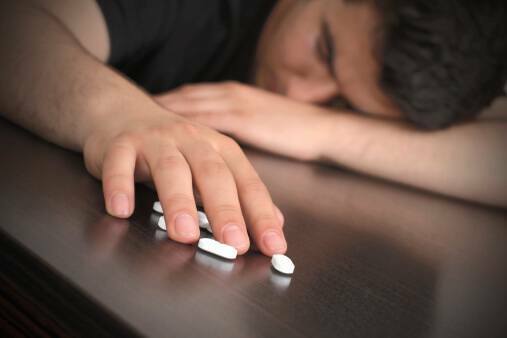 Extreme levels of addition lead to withdrawal symptoms, drug dependence, tolerance to the drug, doctor shopping, depression, anger and extreme weight loss among others. One can recover from Adderall addiction. The journey is not simple but it is possible and practical. Like any other addition, accepting there is a problem is always the beginning point. When it is the other people to intervene, the situation is slippery. Three strategies are commonly engaged. These are CRAFT, Matrix model, and M.A.T model. These addicts are likely to pose a lot of challenges. The trickiest points arise from withdrawal symptoms and presence of extreme behaviors. It might be very hard to approach some of them. The nature of this addiction requires close involvement of the family. CRAFT model involves the family and probably the community in putting pieces together. This model brings about the family coming together to discuss the treatment of their kin. The training involves how to approach the victim for treatment. Coping with the stress is also trained on the family. How the family can guide the victim is another key training done. This is fully psychotherapy recovery model. Here, the patient is made to strike a positive relationship with a therapist. Individual, group or family sessions begin. A lot is taught or discussed in therapy sessions. These include relapse prevention, drug education, and participation in self-help groups. Testing such as urine tests is done frequently to check on the progress. This is a medical treatment recovery that involves detoxication process in rehab or hospital. The process is a three-step recovery procedure. Firstly, the patient enrolls in an institution. Afterward, the patient starts an abstinence maintenance. This involves assessment, therapy, and learning of coping strategies. Finally, a plan for post-treatment is forged. The patient may then check out of the facility. Reading this summarises the questions of whether can an addict recover from Adderall addiction. Avoid addition. If already addicted, there is hope. Call our recovery hotline to get started.